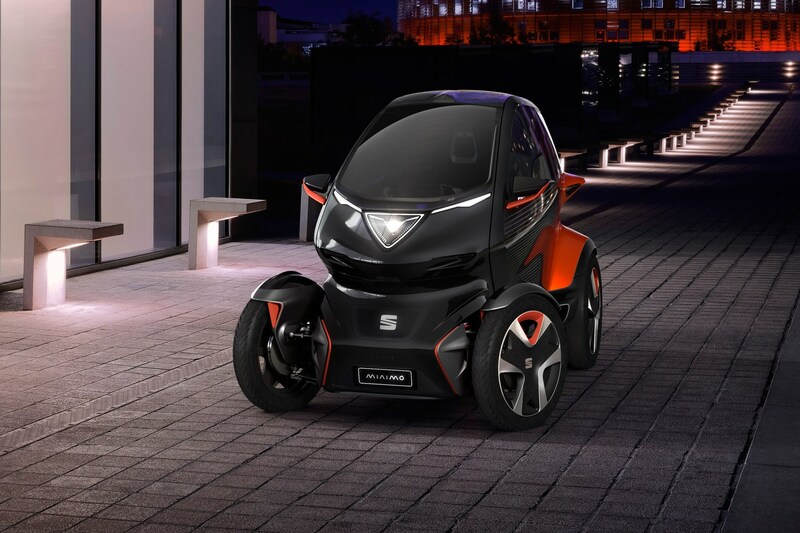 The Seat Minimo electric pod could revolutionise city transport, the Spanish car maker’s boss vowed at the Geneva motor show. Luca de Meo backs trials of renting out small, electrified vehicles at around 20 centimes per kilometre (17p) - arguing it would be more profitable than selling current city cars such as the Mii. In the current business model, that Mii will typically do low mileage and quickly fall outside the franchised dealer network, making it an unprofitable product. By replacing this traditional city car with a shared product such as Minimo - used by dozens or even hundreds of users enabled by digital keys and fractional ownership clubs - de Meo predicts that same car would total 75,000km over three years. Charged at €0.2 per km, that could potentially rake in €15,000. The Design of the Minimo shows the way we understand Urban Mobility: efficiency, high value and cost saving combined with a vibrant design,’ said Alejandro Mesonero, design director at Seat. ‘Our Minimo demonstrates that there is space for fun and style when we are talking about electric and shared vehicles. 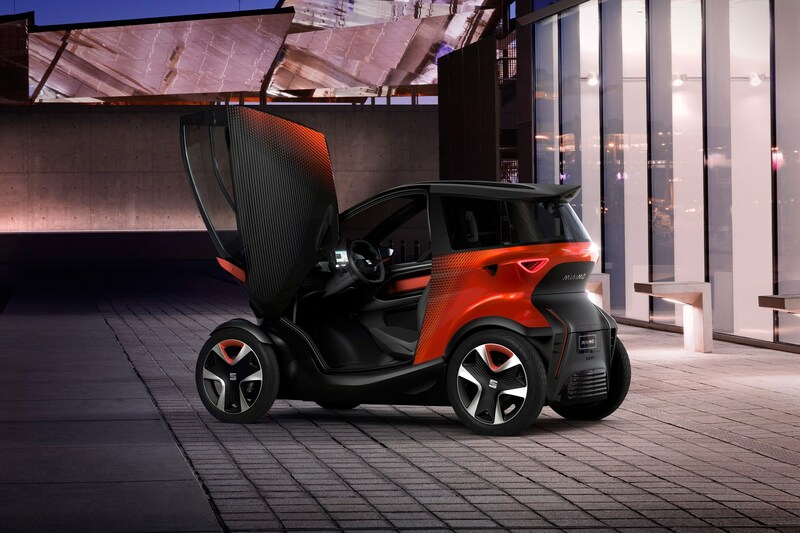 It looks like a Renault Twizy? vehicle. It should comfortable fit two people and at just 2.5 metres long and 1.24 wide, the Minimo could be fine for smaller parking spaces. Seat has given the Minimo 100km of range, but interestingly says its batteries are swappable. Although charging is possible – at what speed we’re not told – the ability to swap over batteries in a matter of seconds means recharging can actually be near instant. 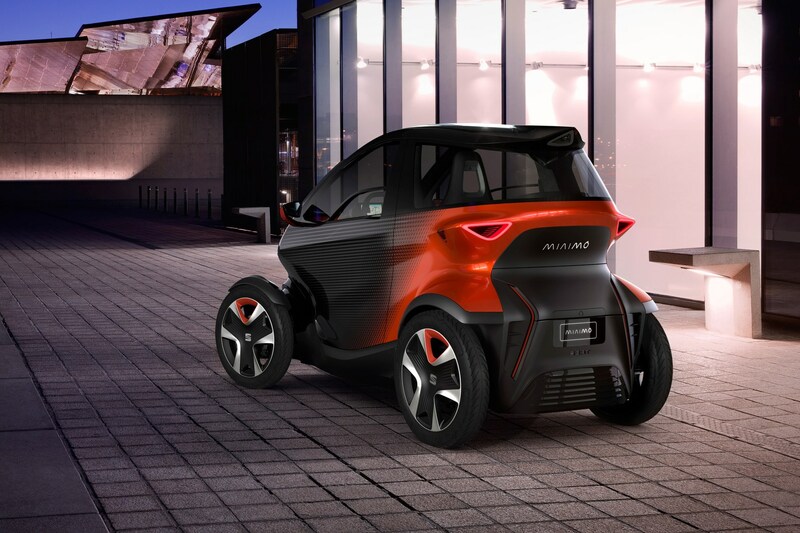 The Minimo is able to achieve this thanks to a frame which makes its cells easily accessible – but it’s an idea that’d be useful for larger EVs too. We’ll see the Minimo at Geneva, too.